My autism fact – The term “stimming” is short for self-stimulatory behavior and is sometimes also called “stereotypic” behavior. In a person with autism, stimming usually refers to specific behaviors that include hand- flapping, rocking, spinning, or repetition of words and phrases. When I decided on a theme for this year’s autism blog hop, I had so many ideas for what to write, but as the day draws nearer I’m not so sure I know what to write about. We have a loose definition of toys in our house when it comes to our son, Matthew (20 today, ASD). When Matt has his birthdays he doesn’t really tell us what he wants, apart from the time he decided he wanted a lego train set. He had this thing about objects going in circles, including train sets, ceiling fans, washing machines etc. We were so relieved to be able to buy something he wanted, spent so much money on the incredibly large Lego sets – electric trains, tracks, trees, extra switches, extra trucks… you name it and we bought it. See, for Matt to show an interest in something for his birthday that was so… for want of a better word… normal… is a shock to the system. Boy, did he get what he wanted, and more. Two different train sets, both with motors, it was complicated to put together and I had the most perfect afternoon sitting with him and building the trains. I love Lego, grew up building things, and finally, I could share something with Matt that we both loved. For a while the trains steadily went around the track. Then Matt decided to see how fast he could make them go around bends. Yep. You can tell what happened. Destruction that made him happy. And then… he took the trains apart and made ceiling fans from the pieces, sticking the lego to his ceiling in his bedroom. I was bereft. Those beautiful trains, all that wonderfully coordinated lego, reduced to becoming ceiling fans. But you know what, that feeling lasted until I found him laying on his bed, staring up at the ceiling fans, stimming, and telling me all the technical details of the various fans. He may not have *played* with the Lego as other kids might have done, but he made something magical with the pieces that made him smile. And at the end of the day, that is all you need, because autism is sometimes all about changing expectation. 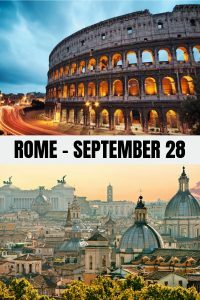 When you’re going to have a baby, it’s like planning a fabulous vacation trip – to Italy. You buy a bunch of guide books and make your wonderful plans. The Coliseum. The Michelangelo ‘David’. The gondolas in Venice. You may learn some handy phrases in Italian. So you must go out and buy new guide books. And you must learn a whole new language. And you will meet a whole new group of people you would never have met. It’s just a different place. It’s slower-paced than Italy, less flashy than Italy. But after you’ve been there for a while and you catch your breath, you look around … and you begin to notice that Holland has windmills … and Holland has tulips. Holland even has Rembrandts. 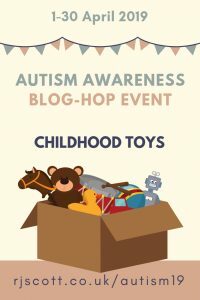 There are 45 authors taking part in the Autism Blog Hop – here is the link to the master list of everyone taking part – master list– every author is offering a competition prize, and will be posting unique posts based on the theme of childhood toys. A signed copy of Boy Banned (which includes a character on the Autistic Spectrum). A signed copy of Texas Family (which includes a character on the Autistic Spectrum). 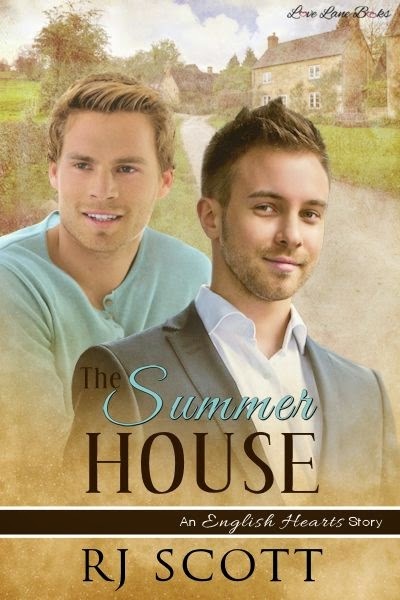 I loved that story by Emily Kingsley. The spectrum is so wide now and is an umbrella for so many different syndromes of so many varying degrees. It’s a topic that touches my heart because I know a many people who are somewhere on that spectrum. Both my kids (and my husband) fall under this umbrella, having tourette’s syndrome. I was with my husband for 17 years before we even realized he had a double blink. The only reason this was even noticed was because my beautiful 9 year old son was doing something we called lizard eyes, which was flicking his eyes sideways then blinking. I have to tell you that even though I had a clue that this was what was going on and had started research, when he teacher called me and mentioned it, I literally sobbed on the phone. All I could think about was all the bad things I knew about tourette’s and how he was going to be treated. My heart broke. Turns out he was more resilient than I gave him credit for and he also had a lot of amazing friends. We set up a talk in front of his class so that he could explain and answer questions and the kids were so supportive. He is still friends with a lot of them today. He is now 20 and is in a very hard engineering program at university. He was president of his high school, he’s acted in a tonne of plays on the stage and he has his music on spotify. He drops the f-bomb as a noun, adjective , verb and adverb but that’s NOT because of tourette’s, as many tv shows would have people believe. He did take me on a trip to a place I wasn’t expecting but there have been so many wonderful memories on this journey. Then when I had my second son, we knew by the age of 3 that he had it too. I was better prepared but it was a totally different adventure. He has so many of his own amazing strengths though so I’m confident going to other places with him. My kids are fairly light on the spectrum, mostly due to learning how to mask their sounds and tics but it’s still worrisome sometimes. There are some people who are just plain old nasty. I think as long as they know they are loved and supported just as they are, they will thrive. Anyway, sorry for going on RJ but I thought what you said about your son was wonderful and I think more people need to know how special ALL kids are and how they all have something to share. To (finally) answer your question about my favourite toy… I think I have to say it was a record player I got when I was 8. I also got a Shaun Cassidy album with it (including a poster…swoon…lol) I spent many days, holding my hairbrush and singing along with Shaun. With Miss Chief it’s whatever she is obsessing about at her birthday and Xmas. Pokemon. Manga. Anime. She was only diagnosed a couple years ago but I had known for years that she was ASD. Getting docs to listen was a whole different ballgame. After she had her diagnosis I was asked by a paediatrician why I hadn’t gone earlier. Oh boy!! Did I unleash on him!! Still. It only took 2 yrs for her diagnosis as opposed to the 9 yrs with her older brother!! As for the favourite toy?? It was Weebles!!! I LOVED them! I had ALL the Weeble stuff ya could get. I was blessed with parents who went overboard at Christmas, even when they couldn’t afford it, so I had a lot of memorable toys. The first one that came to my mind was a toy bagpipe. I can’t remember what happened to it but I loved it and am still fascinated by them. One of the first toys that I really liked was a Fisher Price circus set. I could add the monkeys from the Barrel of Monkeys set and make all kinds of things with it. I would then add something I made with the Tinker Toys. I was only about 3 then. When I got a little older, it became Legos. Great stories, you are all dealing so wonderfully with some very special people. Best of luck and enjoy them and their differences. The only toys I remember well are Playmobil. I had the teacher set. My favorite toy was a stuffed dog I received for Christmas when I was very little. I had it for years until my mom threw it away after I went to college. I was so lucky as a child both my grancfathers loved to make me things. One grandfather made me a two story dolls house with working lights, and the other made me this huge truck, that was big enough to store toys in the back of it. Love the analogy of going to Holland. What a great way of putting things in perspective. My fave toys were my cars and toy garage and, later, my much-sought, long-coveted Barbie Star Traveller. Thank you for bringing awareness to Autism Spectrum. My son was diagnosed with severe autism when he was 3 and a half years old. He is now 6. We face many things everyday that are a struggle. Simple things that everybody else takes for granted. It makes me appreciate life even more. The moments he laughs I live for. My favorite toy was a baby doll with a bedding set. My father was away for work for a very long time, and I missed him terribly. So he asked my mom ( I didn’t know it at that time I thought it was directly from him) to buy me a big baby doll and asked his coworker to deliver it in the evening as if it came from him. Oh, it was the most precious possession for me! I loved it so much, played with it all the time and dragged it everywhere with me. I think I was 4 years old. It’s not easy, I know, but you’ll find a way, I know you will. Thank you for sharing your and Matt’s story. I didn’t have any of my own toys growing up. My family just couldn’t really afford anything and what we did get my siblings got first dibs. Instead I spent my free time at the library, just reading or if it was summer I would join with the summer reading program stuff. I wasn’t diagnosed until my son was, and due to complications from epilepsy I don’t remember much of my childhood. But I still have my first toys, an Alf stuffed animal and a Winnie the Pooh bear that has a music button on his shirt. My son loves anything with wheels, he gets down eye level with them and just watches the wheels roll back and forth. As the oldest, and only female child, I often spent far more time “herding” my younger brothers while they played than I did playing myself, and I truly can’t say I had one specific favourite toy. The only toy I still have is a doll my grandmother gave me. Cloth body, and pottery head (I want to say china, because that’s what she called it), that she claimed had been hers in her younger days. A couple of years ago, my youngest, who hadn’t got a diagnosis yet, asked for a back scratcher and earmuffs for Christmas. That was it. No other requests. He was really happy to open them on Xmas Day! He’s 8 on Tuesday and apart from Harry Potter stuff (his latest obsession) the only things he asked for were a claw grabber thing and bubbles. I honestly can’t think of a favourite/memorable toy – I had Sindy Dolls and the house, but I think that was more my mother trying desperately to make me “girly” than me actually wanting them. It was always more about books for me. Out of all my childhood toys , my favorite would have to be my stuffed animals. I was a huge collector of stuffed animals when I was little as I really loved them and it was one of the things I shared with my grandma, who was also really into collecting stuffed animals and beanie babies. I do still love my stuffed animals and a lot of them hold sentimental value and are very important to me since my grandma passed away a few years ago. I do occasionally get a stuffed animal, but not as many as I used when I was little. (Sorry if this shows as a duplicate post as I accidentally back spaced). Too late for the competition but just thought I’d comment to say how much I appreciate your annual highlighting of autism. My grandson is autistic and is endlessly fascinating. He is also extremely clever, which means we think and hope he can some day hold down a job and be independent. He rarely asks for specific presents. If pushed, he asks for money that he can then spend on computer games, ice-cream from the van that comes round, and odds and ends. (He was 11 last week.) We are constantly on the lookout for things he might enjoy – mostly non-fiction books! He reads fiction but gets through it at the rate of knots so uses the library. We took him to Blackpool at the weekend and had some of that glorious sunshine. He is now in love with Blackpool, and used some birthday money on some rides and on a huge stuffed plushy dog which his own dog viewed with some suspicion. My bear Popcorn and the Walton Townhouse.